Painting is one of the great investments you can make to increase the value of your home. No matter what project size you have in mind, painting your kitchen will yield a high return on your project investment. Painting kitchens requires a "special" touch  one that blends artistic flair with function to create a one with charm and personality as well as one that is easy to work in. Our professional kitchen contractors will use the right tools to make sure your kitchen gets the professional look it deserves. 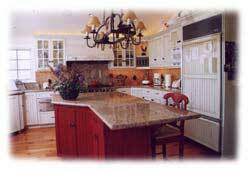 Whether you are looking for a small kitchen painting project or a complete kitchen rehab, you can rest assure our experienced and professional kitchen contractors in Chicago are here to help you. Equiped with well over 15 years of experience, we will gladly help you in painting your kitchen and turn your dreams into reality!